This is the season when we're all trying to find tokens to give as a gift to show the love we feel for one another. But have we thought often about how we express our love? There are five love languages that reveal how we feel about love, and how we should share it. "I suggest giving her a 2016 calendar and fill it with love notes for each month. Mark special days and anniversaries and quotes that remind you of her/him for the entire year," says Diane Gottsman, a national etiquette expert. Maybe you can wish upon a star together, and make it about your future together. How do you love them? Count the ways, or check the box. 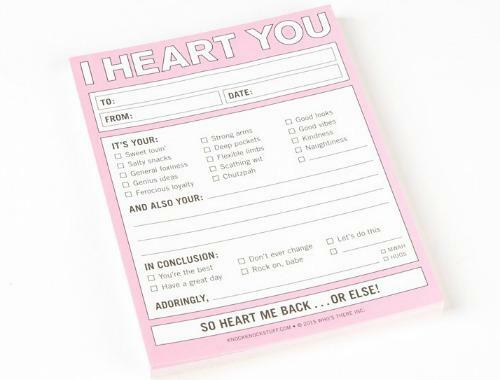 These fun notes let you fill in the blanks to let that special someone know exactly why you heart them. Send a crate of sweet sentiments for all to share. 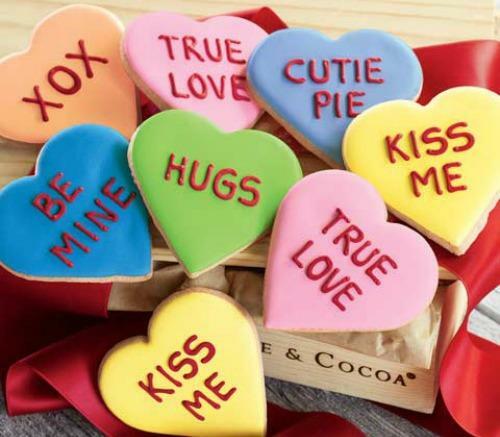 Decorated with lovely little greetings, the deliciously thick heart shaped sugar cookies are iced with decadent candy-like frosting. An assortment of eight cookies comes gift wrapped in a hand crafted wood crate with ribbon. "Take her on a picnic date, snuggle on the couch, or do anything that she has shown an interest in. It takes work to 'watch' for clues and it would be a great idea to 'ask' what kinds of things are most special to her. 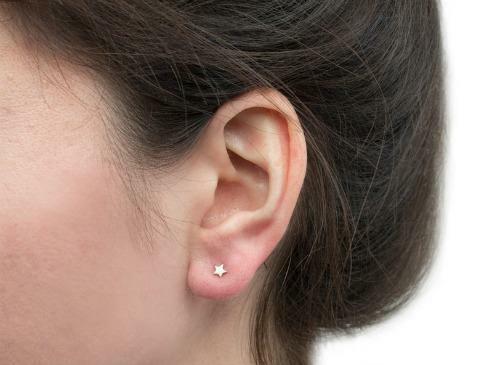 Then make a point of doing them on a regular basis," says Gottsman. Cooking together is one of the rare times that couples have each other's divided attention, and it makes cooking feel like less of a chore and more of a shared social activity. By taking care of the hassle associated with cooking at home (the meal planning, food shopping, ingredient measuring and delivering), it leaves time for the actual cooking and spending quality time together. 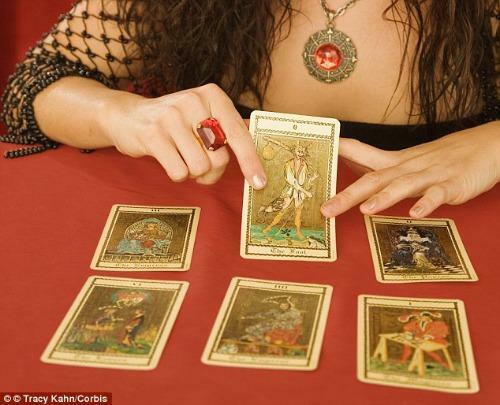 How about giving your boo a session with a tarot card reader to see what's in store in love and life? "Buy the gift yourself — don't have your secretary or mom pick it out: A beautiful pair of boots, a pair of gloves, an experience like a surprise trip to a Bed and Breakfast with flowers and chocolate in the room. 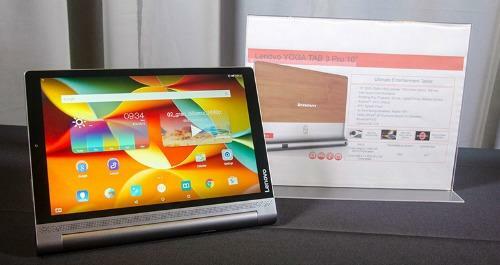 The act of opening a beautifully wrapped box is also part of the fun," says Gottsman. 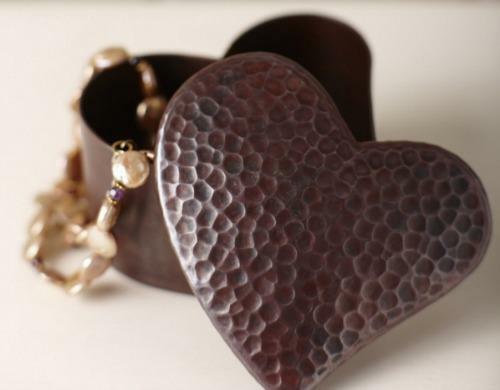 The copper heart-shaped box is the perfect symbolic gift of love and affection. Plus, copper is also known as a great conductor of electricity, so watch the sparks fly as you give your loved one this amazing gift. 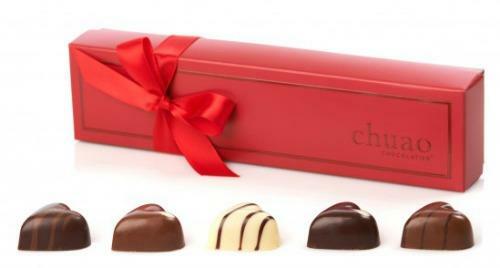 These bonbons are specially infused with natural aphrodisiacs that will leave you and your other half begging for more (chocolate, that is). With intriguingly unique flavors like Lemon Mojito and Rosemary Salted Caramel, you won't be able to keep your hands off. 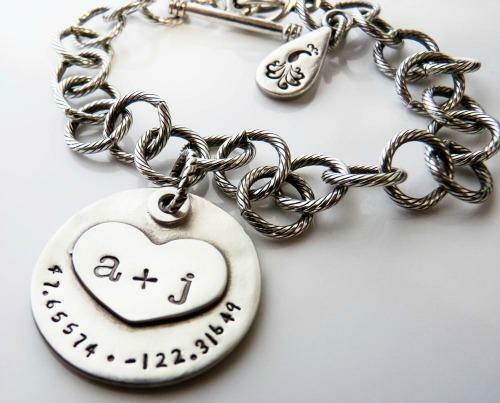 Stated simply and elegantly, with two initials and the coordinates of a special location, this bracelet showcases your initials, but also will have the coordinates engraved of any location. Perhaps it was the location of your first date, first kiss, wedding or honeymoon location — the choice is yours. "Bring her coffee while she's putting her makeup on, setting the table for a beautiful breakfast/dinner made with love by you, surprising her with a car wash, tank full of gas and a dinner out," says Gottsman. 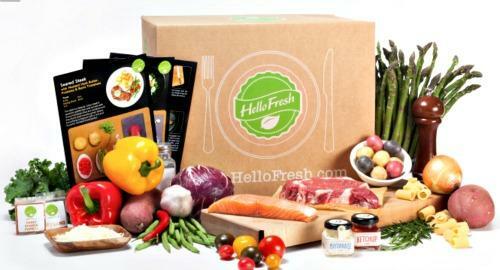 This is a gourmet bake-at-home dessert delivery service that's been hailed as the "Blue Apron" of baking. The unique service is ideal for a special occasion, or just an every day one. 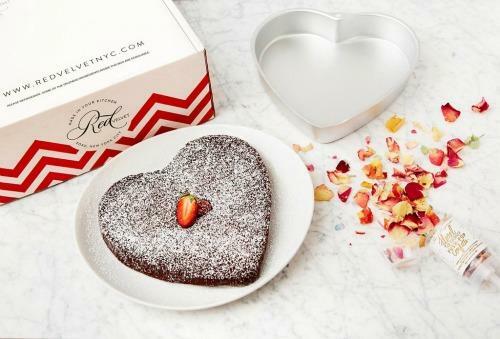 With options like molten chocolate cake, flourless chocolate cake and red velvet cupcakes, there's no shortage of romantic desserts that can be made at home. 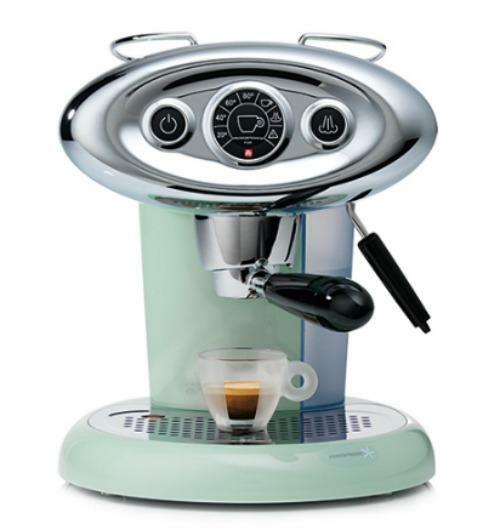 If your mate loves their fancy espressos and lattes, get them a unique espresso machine where they can enjoy it at home, and then unveil it with a special breakfast in bed, starring your own handmade cafe creation. "Make an effort to show your mate you care by reaching out for her as she walks by, holding hands when you normally wouldn't, making an effort to hug and kiss her more often, and for a longer period of time," says Gottsman. 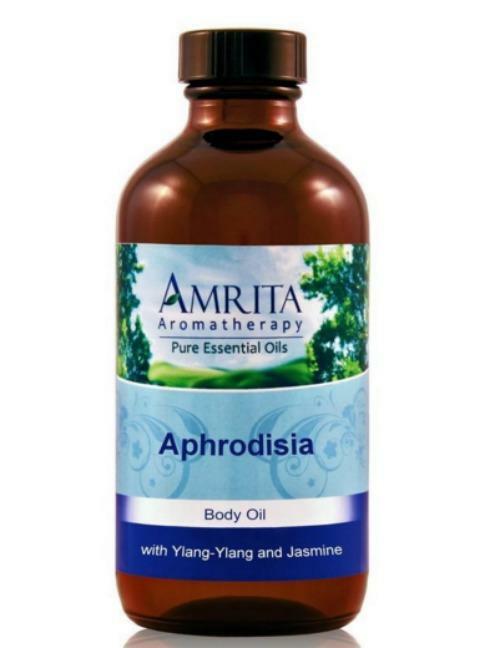 Give an aromatherapy essential oil body oil and promise to massage them with it. Does work or school cause you to spend a lot of time apart? Use intel-powered technology to keep in touch via video chats and cyber fun. It'll make the separation easier until you can physically touch in person.